— Stations: We’ll move our way across a park or facility, often starting at monkey bars and working on hanging, traversing, climbing, etc. 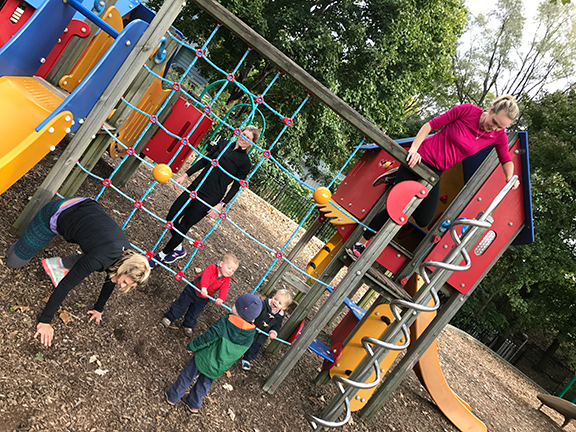 (everyone does their own thing at their own pace); then finding areas of the park to practice natural movements such as balancing, jumping, etc. It’s all very chill and everyone sort of does what is comfortable and accessible to them– no pressure! — Cooldown: Often we end with more crawling stuff and get silly with little ones if we have them. Sound fun? I promise, it is! Hope to see you there! Enjoy a moms’ night out with snacks and drinks, and learn how to exercise safely and effectively in the fourth trimester and beyond. 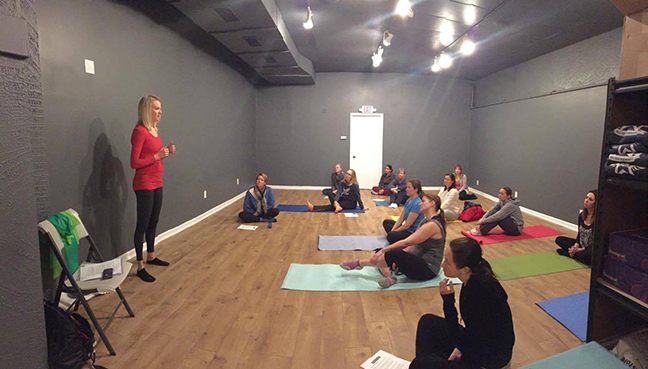 Women’s health physical therapist Dannan Siano of Viva Physical Therapyand pre/postnatal fitness specialist Nicole Radziszewski of Mama’s Gotta Move will share advice for moms of all ages and stages–whether you’re six weeks postpartum, or six years! Please bring a yoga mat and wear comfortable clothes, as we will be doing some gentle movement. Please email nicole@mamasgottamove.com or dannansiano@vivapt.com to reserve your spot. There is no cost for this event!